Taking loans is just a click away nowadays as banks offer credit services via various types of loans and plastic cards. But the concern is that not all debtors can pay back on time. Few customers fail to pay due to various reasons like inability to keep track of payment due date, cash insufficiency, wilful default etc. Owing to the frequent consumer borrowing and spending behavior, debt collection has been prevalent since the early days of banking. Banks and insurance organizations often struggle with debt collection and loan collection. Collection of debts from consumers is increasingly focused upon by regulators as it is the chief source of income for banks and impart huge stress on the liquidity of the companies. The increasing age of receivables results in a higher probability that people will chicken out from paying debts. Dealing with debt recovery needs several initiatives to be undertaken to ensure that the debtors’ payback. Banks try to reach out to customers to remind them of the due date through various modes like email and text message (SMS). When none of the aforementioned steps bear fruit, the bank usually hands over the responsibility of collecting the debt to a Third-Party Agency. Let’s take a scenario where Brinda is the collection manager of the collection agency named FastDebtRecover Pvt Ltd. The agency gets the account and tries to receive the Promise To Pay from the customer to help SmartInvestment Bank to recover their debts. In this reaching the account is a tedious task as in the absence of right debt collection strategy, she has to dial on all the phones of the customer manually. She has to manually track expected payments. There is a high probability that she will miss critical steps needed in carrying out statistical cash forecast. In a nutshell, Debt collection certainly requires a robust software to manage debtors’ accounts, handle their queries, and fairly guide them to pay the debts on time. A debt collection software discovers, prioritizes and recovers debts by overcoming the Data, Process and Technology challenges and maximizes debt recovery. To sum up here below are the key challenges that the collection agents have to face while reaching out to customers manually. Along with it are the listed benefits that a debt collection software brings in while reaching out to customers. By now you must have got a fair idea of how the debt collection tech can help improvise your collection efforts and repurpose your collection efforts in a manner that it is more accurate, and the return on effort is higher. 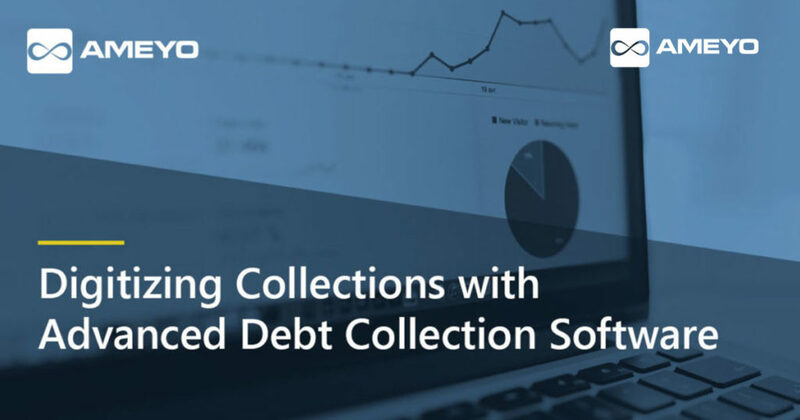 So if you are looking for an advanced debt collection software that can help you manage your collection process Easily, Efficiently and Effortlessly then check out Ameyo Collect that can help you beat out your collection challenges.